Highly skilled tech talents are not only hard to find, but can be even harder to keep. The tech talent shortage is a problem that’s not going away, but the good news is that the talent pool is wider than expected when companies look in different places. Luckily, there are some ways to tackle this challenge. The event “How to attract, source and retain top tech talent” was organized and hosted by Meritocracy and brought together experts from Camunda, WeQ and MVP Factory. 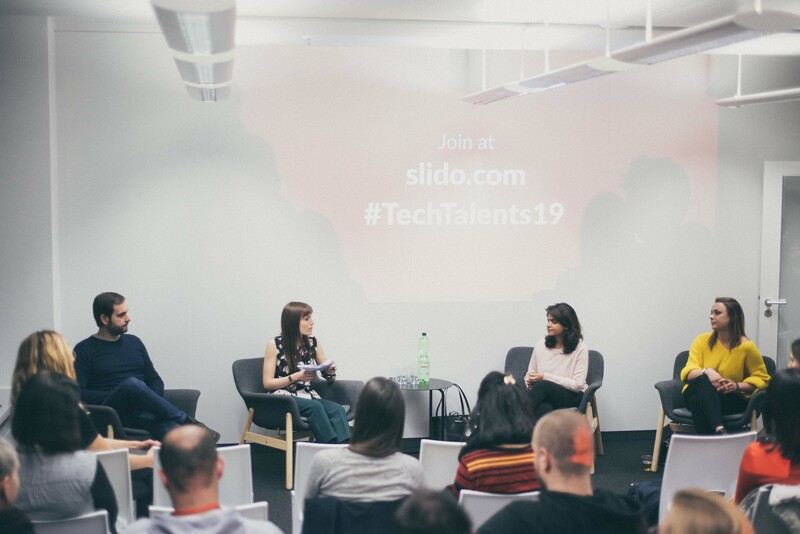 Our Talent Acquisition Manager, Barbora Jumrová was one of the panelists and shared some of her winning strategies on how to source and retain the best tech talent. With a spectacular view of Berlin’s evening skyline, the event took place at MVP Factory and it started with the introduction of the panelists: Nikhita Elizabeth Cyriac – Talent Acquisition Head at Camunda and Victor Cazacu Co-Founder & Managing Director at MVP factory. The event was moderated by Alice Badalucco, Content Manager & Social Media Specialist at Meritocracy. She asked some interesting questions regarding the recruitment of top tech talents and what kind of strategies the panelists use in order to keep them on track and engaged with the tasks given – but also, the public did not hesitate to ask questions which kept the panelists busy. When asked what “talent” is, Nikhita from Camunda replied that it is not just about the skills. According to her, talent is about the drive, passion and what excites them about the job! And a great way to spot them was to look more at what they have done previously within the scope of their job, both inside and outside of the office (extracurricular activities showing they are team players and able to learn fast are a big plus). Sourcing tech talents is really hard and most of the recruiters have trouble throughout the acquisition process. On one hand, Barbora of WeQ said that finding them in Berlin is challenging and developers are a wanted commodity nowadays, so you should be giving them a really great offer with a total package. When there are difficulties, she uses the employer referral schemes while also working with two or three trusted headhunters. 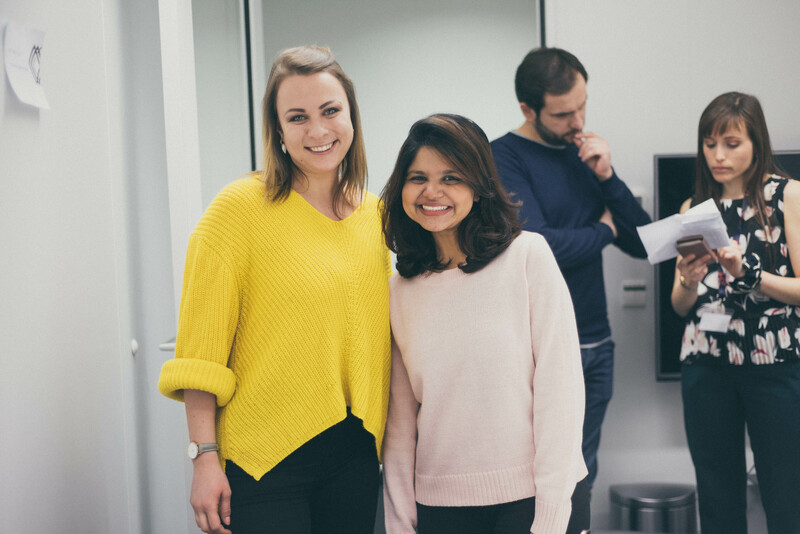 On the other hand, according to Nikhita, sourcing senior tech roles is not easy and what they came up with at Camunda is organizing exclusive invite-only events where they invite 10-15 people who come to their office and meet the employers to talk about tech. What’s the strategy to retain talents? According to Victor, it’s to stay true to the reason about what was the journey about in the first place. As long as you stay true to what you promised, you will always be able to grow the team. In the end, people leave bad managers and not bad companies. Barbora mentioned that the freedom in the use of technology to deliver their projects and the knowledge that is shared within the team is what keeps the teams intact, as well as the autonomy and trust given from managers are some of the reasons which are retaining the tech talents at WeQ. After the interesting panel discussion, we also found some time to network, talk and meet fellow recruiters to share our opinions regarding hiring highly-skilled tech talents.